Frankly I blame you for not seeing this joke coming. Friend: Chris, come on man, they’re gonna be outta pants by the time we get there! Christopher: Hey! It’s Christopher Walken, not Christopher Runnin. Child: Mr. Walken, will you dance with me? Christopher: It’s Christopher Walken, but … yes, I will. Blogger: Hey check it out, it’s pretty funny, or at least … mildly funny? Christopher: Listen, it’s Christopher Walken, not Christopher laughin at a post that is … frankly, a little uninspired. I mean, come on, the same joke over and over but varied slightly? What is this, an overly long SNL skit? Blogger: Well … what if the blog has been around like, a REALLY LONG TIME, and sometimes the blogger just wants to mail it in for a post or 100 posts or so? Chistopher: You think I should lower my humor standards for this? Blogger: If you wouldn’t mind, that’d help me out tremendously. Christopher: Ok. Then … hm. There. You got one amused hm. Person: Woah! Christopher Walken! What are you doing here? Christopher: Dogs! They’re … great. I LOVE dogs. And people … have to work, but the dogs … sit at HOME. So lonely. Long days are tough for … dogs. Person: You have a dog sitting business? Christopher: No! Of course not. Don’t be ridiculous. I have a dog … Walken … business. 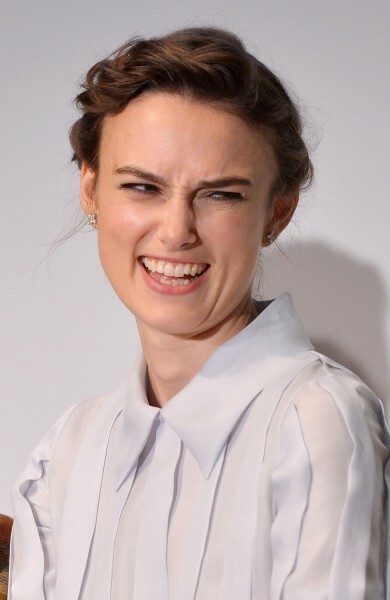 If I ran a drug manufacturing company I would name one Keira, and the commercials would focus on the frequency with which you take the medication. Also the commercial would have a knight running through a field. I’m not saying she personally endorsed this post, but she didn’t NOT personally endorse it. Neutrogena is a criminally offensive and awful organization and I insist that everyone join me in boycotting them. It’s one thing to be awful, but to be awful so publicly and with a smile on your face is not forgivable. Honestly, it sickens me. I can’t stop hearing some fresh-faced innocent looking young woman saying that phrase, “cleans up your poors.” Really?!? Just because they’re poor doesn’t mean they aren’t people! Join me everyone! Join me in boycotting Neutrogena!